Wow – we are all still buzzing with energy after this years’ LockCon! With a fully packed program spanning three days, there was something to learn and do for everyone. People showed up from all over the world, making new friends, discussing new locks and lock opening techniques and just having a good time in general. An important part of LockCon is the Toool Dutch Open Championships in lockpicking and impressioning. And, thanks to Jord, this year we also had a lever lock opening competition. Unfortunately, the impressioning competition was nullified due to irregularities. Therefore, there are no winners. 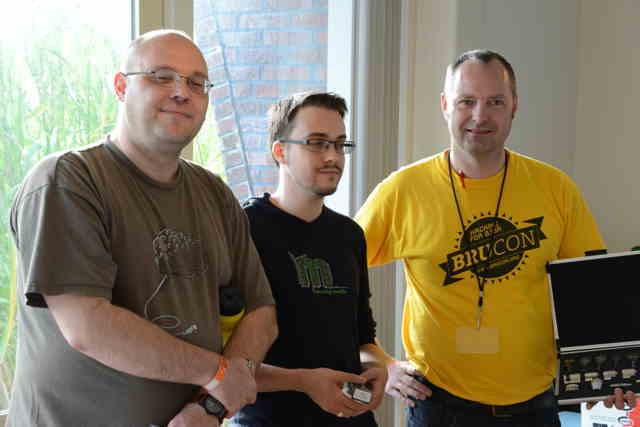 The lockpicking competition was exiting, with for the first time a Dutch winner. In an exiting final, all three final contestants opened one out of three locks within 15 minutes. 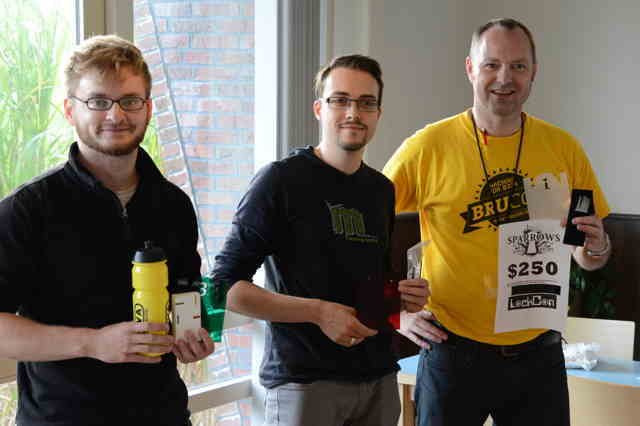 The fastest time was for winner Walter Belgers, with Christian Holler getting second and Marc Bromm third place. The lever lock competition was won by Tomás, who opened all four within the 3 minute time limit per lock(!). Oli Diederichsen became second by opening three locks, Lars Jelonnek was the fastest opening 2 locks making him number three. And finally, the Toool competition, open only to Toool NL members, was won by Walter Belgers. The second place was for Christian Holler (quite a feat since he only had one day for it) and third place for Jos Weyers. Our thanks go to all the participants who have made this LockCon a great event. Also many thanks to the sponsors. Abus sponsored all the locks and keys for the impressioning contest. 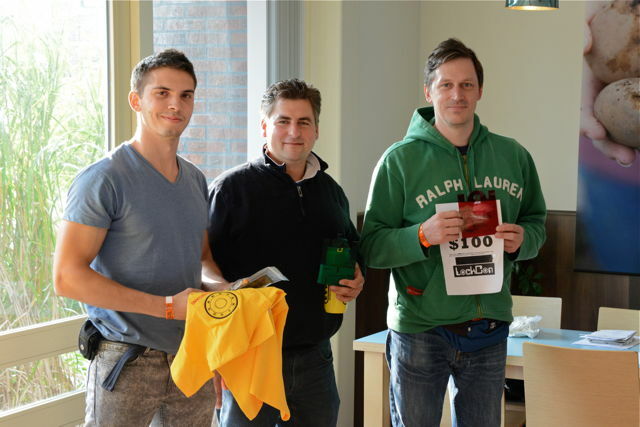 Prizes were sponsored by TOOOL.US, Storm Lock Picks, Sparrows Lock Picks, EVVA, M&C, Knaap Junior, Oli Diederichsen and Douglas Bryant. 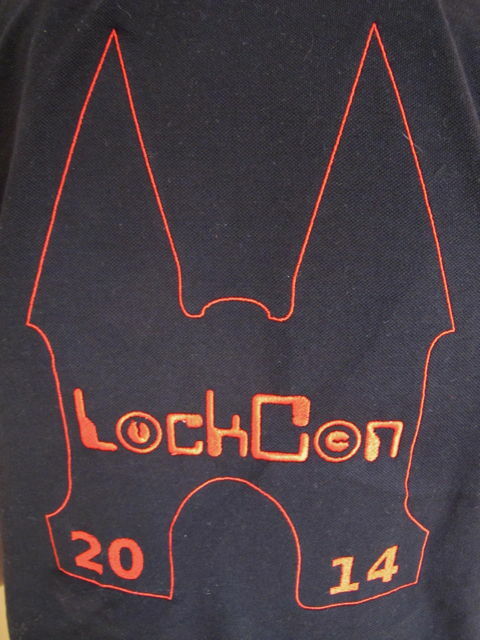 This year, other than previous years, we will be selling the remainder of LockCon 2014 clothing. So, don’t wait until next LockCon to see if we have reduced the price, we aim to sell the limited stock this year. Instead of T-shirts, we have made high quality embroidered polo shirts sporting the Toool logo on the front and an image of the Sneeker Waterpoort on the back. These will go for 35 euro including shipping. We also have a few VIP “key figure” polo shirts for 45 euro. To order, send your request to merchandise@toool.nl. 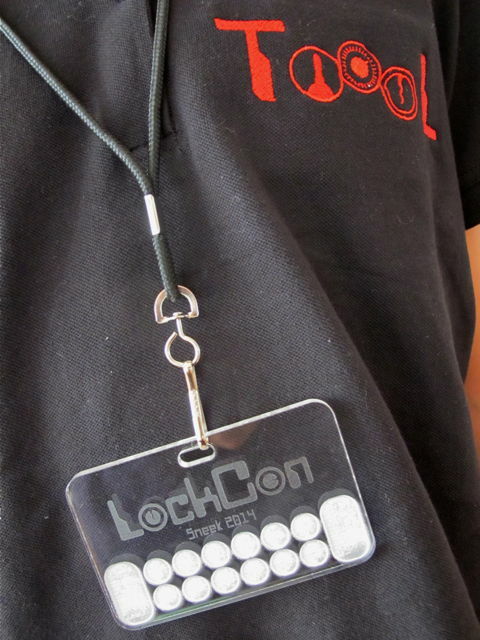 The first few people ordering will get a LockCon 2014 badge that doubles as a pin tray, courtesy of Datagram. We’ll be posting better pictures soon. The tenth Hackers On Planet Earth conference has just been held in New York, USA. One of the topics has been lockpicking and people from TOOOL-US as well as Jos from TOOOL-NL have been demonstrating the sport. He can be seen on the right in the picture that Hackaday put online at http://hackaday.com/2014/07/18/hope-x-lock-picking-and-lock-sport/. The official homepage of HOPE is http://www.hope.net/. Update: video (over 3 hours!) at http://new.livestream.com/internetsociety/hopex1/videos/57118496. Entries (RSS) and Comments (RSS). 48 queries. 0.409 seconds.